As a homeowner, you’ve likely noticed a big change in the available home appliances. As of late, these products have gotten sleeker, more advanced and much higher tech than ever before. Water heating technology has not been immune to this transformation. A few companies have helped to push these appliances further and EccoTemp is definitely one company that has managed to push these appliances to their limits. This company believes in producing water heaters, which are the precise size consumers need and desire. This is why the majority of the company’s water heaters are slim, compact, and a few are even portable. Within this guide, you’ll learn all about the company and will discover EccoTemp water heater reviews for the company’s most notable models. Before delving into the company’s products, it is essential to introduce yourself to the company. EccoTemp was founded by Mike Elrod in 2004. The manufacturer is currently based outside of Summerville, South Carolina. 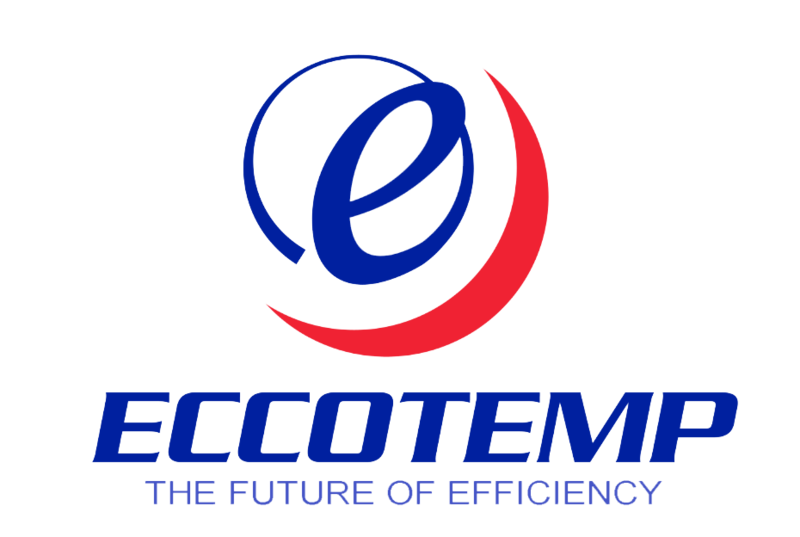 Unlike many of the company’s competitors, EccoTemp wants to educate the consumer and inform them about the importance of energy conversation and eco-friendly products. If you haven’t guessed, the company’s products fit into that same mindset. The company is widely considered to be one of the forerunners and responsible for engineering some of the first compact tankless water heaters. Today, the company’s products can be found within the aisles of over 2,000 major retailers throughout the world. They strive to seek betterment and do their best to keep their products up to date, while consistently expanding their research and development operations. One of the biggest attributes, which sets the EccoTemp company apart from its competitors, is the company’s diversification. When you scour through the group’s portfolio, you will be dumbfounded by the sheer number of options. There is truly something for everyone. Whether you’re looking for an electric, gas or portable water heater, you can guarantee you’ll be able to find something from the company that will suit your fancy. The company offers a handful of portable water heaters and each of them is surprisingly affordable. Are you searching for a hot water source that can be utilized on camping adventures and at the pool? If so, you should look no further than the EccoTemp L5, because it has everything needed to product continuous hot water. This is a portable unit that operates on liquid propane and a 2D cell battery. It also comes with a showerhead and hose, so you do not need to worry about purchasing any additional accessories. Even though this is a compact tankless water heater does not mean that it cannot operate efficiently. It offers a GPM rating of 1.4 and adjustable flow rate of 0.3 liters. Of course, it does require up to 20-80 PSI water pressure, which should not be that difficult to obtain. The 2 D Cell battery is designed to ignite the burner, so no electricity source is required for operation. Overall, the EccoTemp L5 portable, tankless water heater has a heavy duty construction. The embedded components are premium-grade to ensure longevity. This compact model is capable of producing continuous hot water, while offering the convenience of home. Portable tankless water heaters offer an abundance of convenience, reliability, and endless hot water. If you are in need of a water heater for your pool room or camper, you should definitely keep the EccoTemp Systems L7 on your list of prospects. This model is capable of producing up to 41,000 BTUs of input, which will ensure temperature stability. Operation requires liquid propane and a 2 D Cell battery, so electricity is not required for burner ignition. With the adjustable temperature control know, you have the option of setting the temperature anywhere between 50 to 125 degrees Fahrenheit. The burner is capable of increasing the water (1.6 gallons) temperature 35-35 degrees Fahrenheit every minute. The most unique benefit of the EccoTemp L7 is its capability with most modified water systems. You also have the option of investing in an upgraded temperature sensor that will offer a higher water temperature of 160 degrees Fahrenheit. Overall, the EccoTemp Systems L7 is a very high-quality and will offer tons of convenience. This model will make a great addition to your home or RV, so keep it in mind while you are shopping. Those that are looking for an incredibly portable, outdoor water heater will want to check out the EccoTemp L10 Water Heater. The unit might be affordable and lightweight, but it is capable of delivering 2.6 GPM of water flow. For the majority of scenarios, the L10 water heater will excel and exceed the consumer’s expectations. Although the EccoTemp L10 might not be suitable for all situations, it’ll prove to be absolutely superb in some scenarios. It comes with a 1-year warranty and can deliver a maximum GPM of 2.6, which is more than many similar models. Just remember that this water heater can only be used outside. As long as you’re fine with that, the water heater will prove to be an excellent investment and will satisfy your needs. The EccoTemp FVI12-LP Water Heater is compact, slim and very sleek. Despite its consumer-friendly affordability, this liquid propane fired water heater is capable of supplying more than a single hot water application at once. So, if you need to run your shower and skin at the same time, the FVI12-LP is an excellent choice. The unit only weighs 33 pounds, so it is easily portable and can be installed by a single individual, without much of a struggle. In total, the unit can deliver a maximum GPM flow of 4, when a temperature rise of 45 degrees is needed. It delivers 2.3 GPM, when raising the temperature by 77 degrees. All in all, the EccoTemp FVI12 is a great investment for many. It is affordable, very slim and can supply more than a single faucet at once. Plus, it’ll help the consumer save a little bit of money. Those looking for a whole-house water heater should definitely take the time to explore the 45HI-LP Tankless Water Heater from EccoTemp. This EccoTemp tankless water heater is compact, sleek, and surprisingly affordable. When the temperature needs to be raised 35 degrees, this unit is capable of delivering 6.8 gallons of water per minute. It produces 140,000 BTU. The combination makes this water heater ideal for an assortment of situations, including point of use setups or centralization installation. The water heater measures in at 15 by 5 by 24 inches and it weighs just 38 pounds. So, it can be installed almost anywhere. The unit has an energy rating of 82% and an energy factor of .80. Suffice to say, it’ll save you quite a bit of money, when compared to the cost of operating a storage water heater. All in all, the 45H water heater is an excellent option for many. It is CSA certified, so it can be used within the United States and Canada. The EccoTemp water heater is also compact and lightweight, which helps to make it a solid choice for any household, regardless of space constraints.